A bold and vibrant beverages menu board. The multi-colors are effectively used to emphasize specific items and the graphics and content compliment this brilliantly. 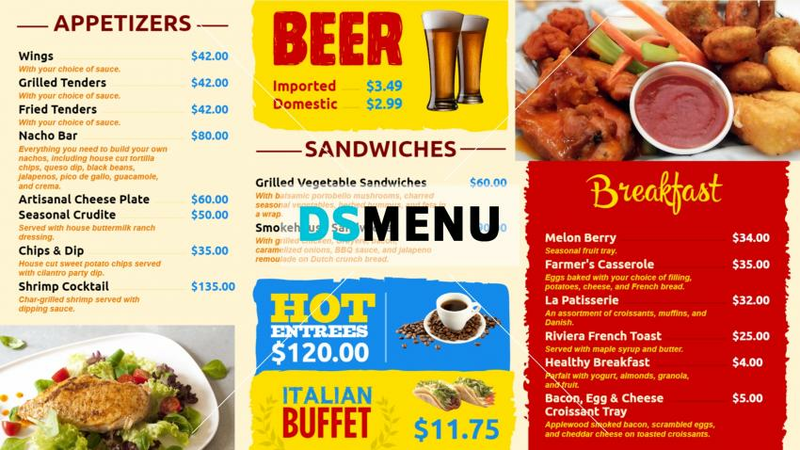 On a digital menu board this template will be the talk of the town The menu is tantalizing and will attract people from all walks of life.